Affordable Door provides professional garage door repair and replacement services in Centreville, Virginia. If your garage door is not working correctly, damaged, or if you just want to upgrade your current one, you can count on our trained technicians to handle all of your needs. 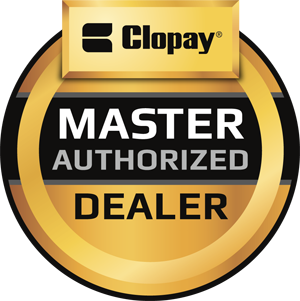 We carry a wide selection of equipment from top brands, including LiftMaster, Clopay, Amarr, Genie, Craftsman and more. Don’t hesitate to contact Affordable Door for any of our garage door services in Centreville. 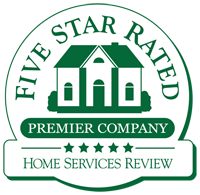 We have been supplying homeowners in the area with the best service and products for years, and we look forward to having you as one of our customers. Find out more about our services below! With our residential garage doors, combined with our professional installation service, you can be confident that your new doors will function correctly, as well as be secure and durable. Additionally, our doors come in a variety of colors, which allows you to get the perfect look for your home. As your garage doors start to get older, and undergo wear and tear, they may not function as well as they used to. When your doors stop operating the way they should, it be necessary to replace certain parts. Affordable Door provides garage door repair in Centreville, Virginia to keep your doors functioning the way they’re supposed to. Our technicians are all trained to repair your overhead garage doors correctly, and we check to make sure that everything works properly before we leave. After explaining the issues that you’re having with your garage doors, our technicians will work to find the source of the problem. 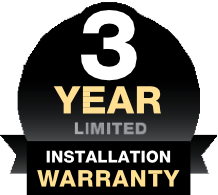 Whether it’s an issue with the garage door motor, springs, cable parts, or other issues, we will pinpoint it and recommend the best solution. If you are having issues with your garage doors, do not hesitate to contact Affordable Door for garage door repairs in Centreville. There may come a time when your garage doors will need to be replaced. It could be due to old age, persistent issues, or you may just want a new look. Whatever the reasoning, Affordable Door is here to provide you with garage door replacement in Centreville, Virginia. We carry a wide selection of replacement garage doors to meet your needs, and function better than your previous equipment. The equipment will be professionally installed by our expert technicians. We always strive to replace your doors as quickly as possible to minimize any disruption to your day-to-day activities. When we replace your garage doors, we change out all of the parts. You will receive a completely brand new door along with cables, springs, and other vital parts. 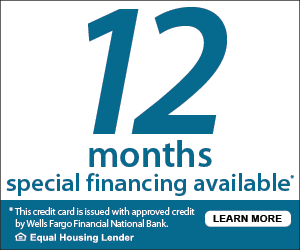 When it’s time to replace your garage doors, call Affordable Door. Affordable Door is proud to offer our customers with the highest standard of garage door openers, LiftMaster. LiftMaster is respected as the top garage door opener manufacturer in the industry because of their efficiency, quietness, and smooth functionality. Your front door is important for security, energy efficiency, and bringing together the look of your home. Therefore, investing in a quality entry door can be a wise decision. At Affordable Door, we offer front door replacement in Centreville, Virginia so that you receive a door that looks great, and also functions correctly. Our doors are available in wood (oak, cherry, or mahogany), fiberglass, and steel. Additionally, we have a wide selection of colors so that you can customize your front door to match the design of your home. Let our experts handle your front door installation in Centreville, while sit back and enjoy the new look! If you are in need of garage door repairs, installation, garage door openers, entry door installation, or any of the other services we provide, contact Affordable Door today at 703-912-3667.